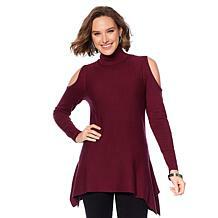 Why put your shoulders in hiding just because it's cool outside? 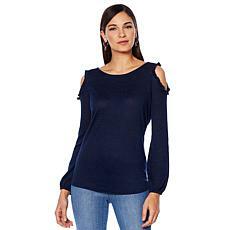 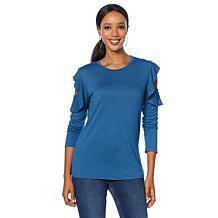 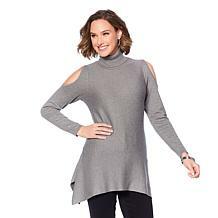 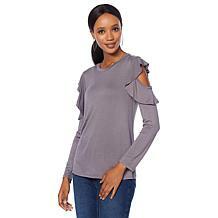 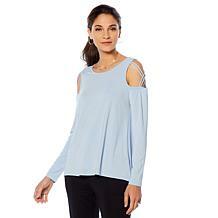 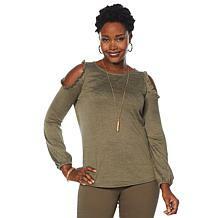 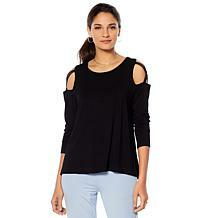 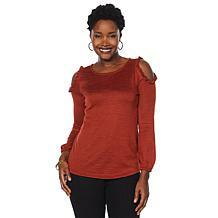 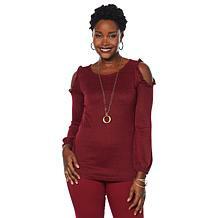 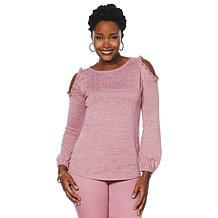 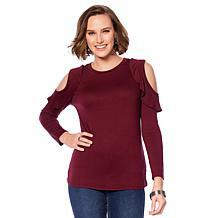 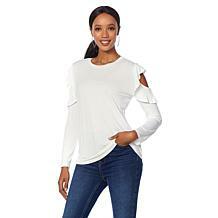 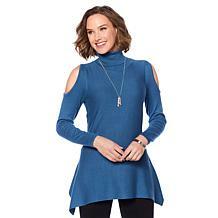 Brushed knit feels soft and warm, so this cold-shoulder top heats up your look in more ways than one. 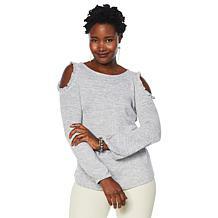 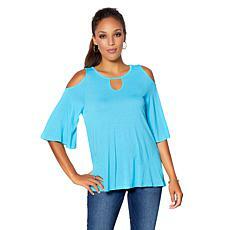 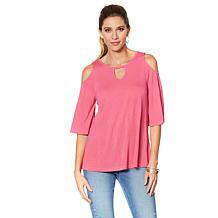 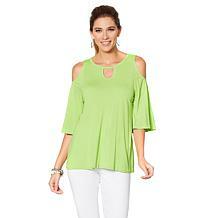 Give boring, basic styles the cold shoulder! 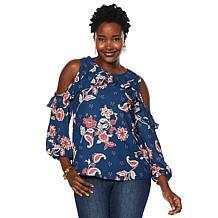 Shimmy into this pretty printed ruffle top and make any ensemble a little more exciting. 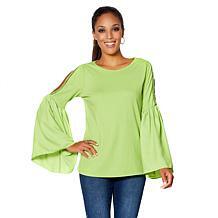 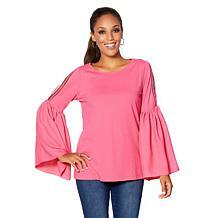 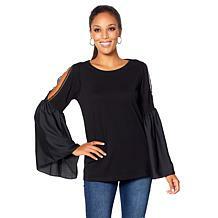 Sleeves are making a statement like never before! 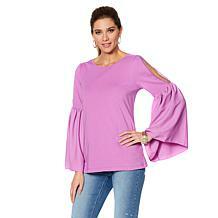 Here we have ladder-stitch trim adorning cold-shoulder slits and dramatic bell cuffs in crepe de chine. 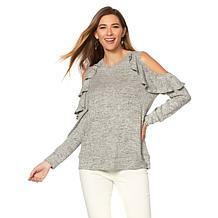 Definitely a head-turning top.